The difference between a Team Captain and a Team Manager is that Team Captains are basically leaders but no ability to add/delete other team captains or delete any team. It’s main focus it its team itself. First, go to your website, (e.g. www.yourwebsitename.com/teams). Second, click on Manage or Edit Team. Take note, you need to be an admin or a Team Manager to be able to access this. 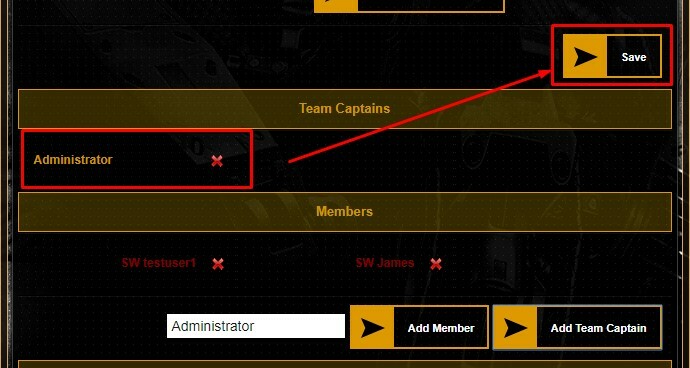 You will then be redirected to the Team Editor page, scroll down at the bottom to see the button “Add Team Captain”. 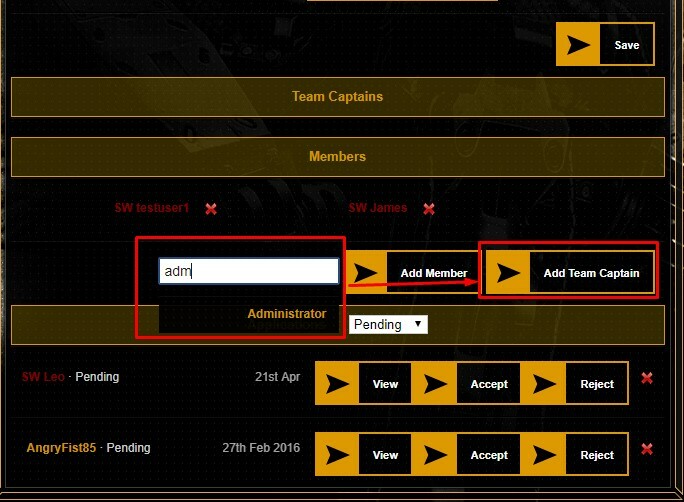 Then, search for any member’s name that you want to be the Team Captain and click on “Add Team Captain”. Afterwards, it should refresh the page and the name will appear on the “Team Captains” panel above. Click on Save to save your changes. That is how you assign Team Captains on your clan, so what are you waiting for? Pick the best member and let them be your Captain in this iClan Journey! NOTE: A few notes, just a refresher, to create a Team, you can either go to your website (e.g. www.yourwebsitename.com/teams) OR go to Admin Panel > Menu > Teams. Great! Please let us restrict ranks to team creation soon. Our teams are loving this!